Allegiant Air (Honolulu) has announced it is ending all service to Hawaii and as a result will retire the last Boeing 757-200. The company started service to the 50th State in June 2012 from Fresno and Las Vegas and has been downsizing the number of routes to the islands. Due to rising costs, the company will exit the Hawaii market in early September 2016 when it drops the last route to Honolulu. The last 757 will exit the fleet in early 2017. Employees in Hawaii will be relocated. Copyright Photo: Ton Jochems/AirlinersGallery.com. Boeing 757-204 N901NV (msn 25963) lands at the Las Vegas base. This entry was posted in Allegiant Air and tagged 26963, 757, 757-200, 757-204, Allegiant Air, Boeing, Boeing 757, Boeing 757-200, Hawaii, Honolulu, LAS, Las Vegas, N901NV on November 18, 2015 by Bruce Drum. 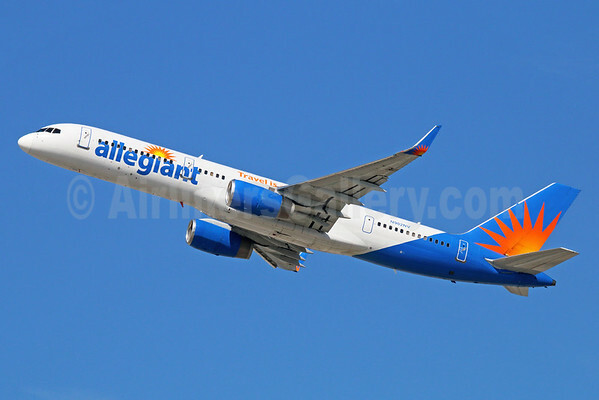 Allegiant issued a statement that dismantles the recent request from the International Brotherhood of Teamsters (IBT) Local 1224 for the National Mediation Board (NMB) to declare an impasse in pilot contract negotiations, and highlights the significant progress that has been made towards a first contract for Allegiant’s pilots. The full text of Mr. Harfst’s letter to employees follows. Earlier today, the National Mediation Board (NMB) received a letter from the International Brotherhood of Teamsters (IBT) asking the NMB to declare an impasse in the pilot contract negotiations with Allegiant. I wanted to provide you with Allegiant’s perspective on this recent development. The IBT’s request ignores the reality that significant progress is being made in these negotiations. Fourteen of 26 sections have been agreed to, and proposals for the remaining 12 sections are being actively negotiated. In fact, nine sections of the proposed contract have been agreed to just since the start of 2015, which is the clearest evidence that the parties are moving towards an agreement. Allegiant wants to reach an agreement with its pilots as soon as possible. We are moving forward at the bargaining table and we are nowhere near impasse. This request by the Teamsters is simply their latest scheme­-without-substance, which is aimed at putting economic negotiating pressure on Allegiant. We expect this ploy by the IBT to fail — just as it did the last time they attempted this ploy with the NMB in January. Negotiations are never easy, particularly with a first contract, where both parties are effectively starting from scratch to reach a collective bargaining agreement. But with a willing partner, we can reach an agreement that is fair and recognizes the significant contribution of our pilots to Allegiant’s success. Over the last few months, the company has made numerous proposals to the union that include significantly higher wages, improved retirement plans, a union-sponsored health plan, and better scheduling rules for the pilots. The recent exchange of proposals demonstrates our commitment to our pilots and to the negotiations process. The parties are far from reaching an impasse. On the contrary, negotiations had gained momentum until the union decided it wouldn’t move anymore in the hopes of gaining a release from mediation. In fact, more progress has been made over the past several months than in almost three years of negotiations. We urge the IBT to continue negotiating in good faith. The NMB has already informed us of its intention to hold the next bargaining session scheduled as planned for October 26-27. We believe that the sooner both sides can reach an agreement, the sooner we can capitalize on the opportunities before us. Copyright Photo: Michael B. Ing/AirlinersGallery.com. Boeing 757-204 N902NV (msn 26964) departs from Los Angeles International Airport. 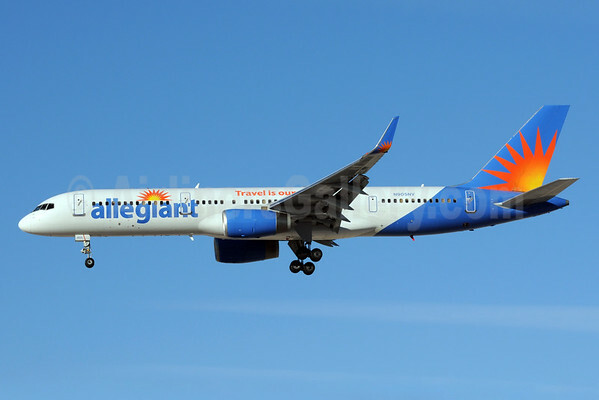 This entry was posted in Allegiant Air and tagged 26964, 757, 757-200, 757-204, Allegiant Air, Boeing, Boeing 757, Boeing 757-200, IBT, LAX, Los Angeles, N902NV, pilots, Teamsters on October 16, 2015 by Bruce Drum. 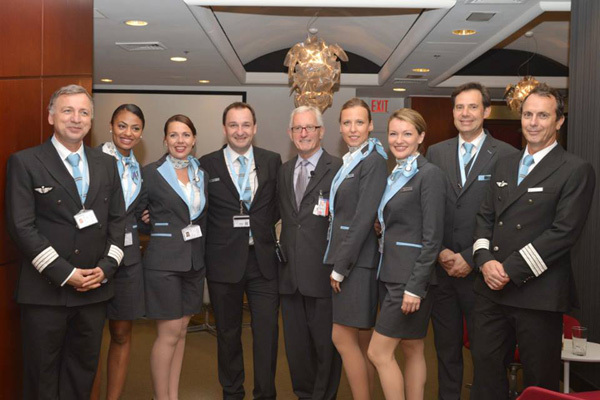 La Compagnie (Paris-CDG) today enters the very competitive London – New York area market. The French boutique upscale carrier commences Boeing 757-200 services today between Luton Airport and Newark Liberty International Airport with Boeing 757-256 F-HTAG (msn 29307). 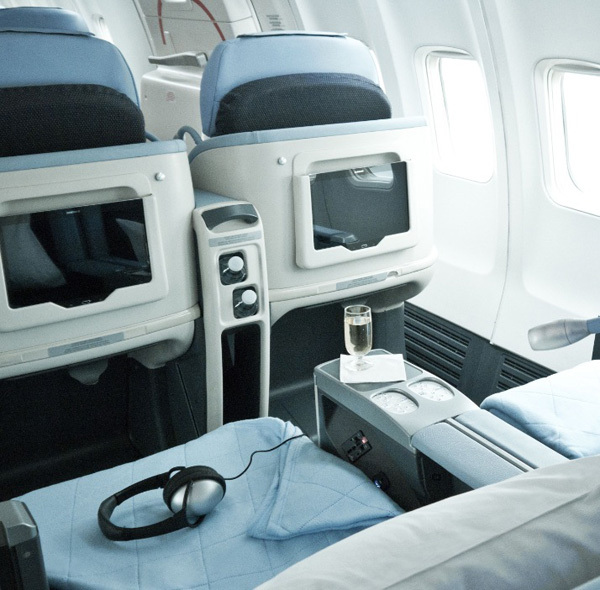 Copyright Photo: Keith Burton/AirlinersGallery.com (all others by La Compagnie). Former Thomson Airways Boeing 757-204 F-HCIE (msn 27208, ex G-BYAT) remains at Southend as it is prepared for service. 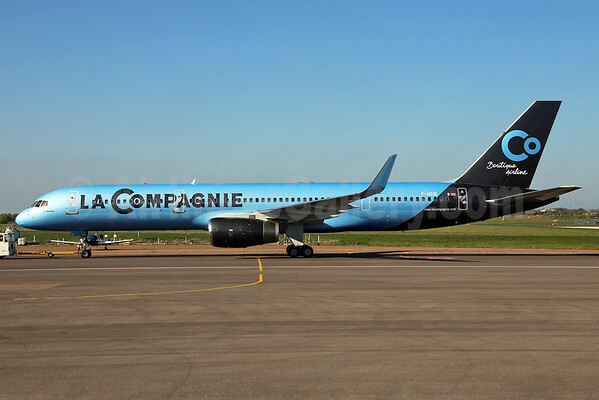 This entry was posted in La Compagnie and tagged 27208, 757, 757-200, 757-204, Boeing, Boeing 757, Boeing 757-200, F-HCIE, La Compagnie, London, Luton, Newark, SEN, Southend on April 24, 2015 by Bruce Drum. 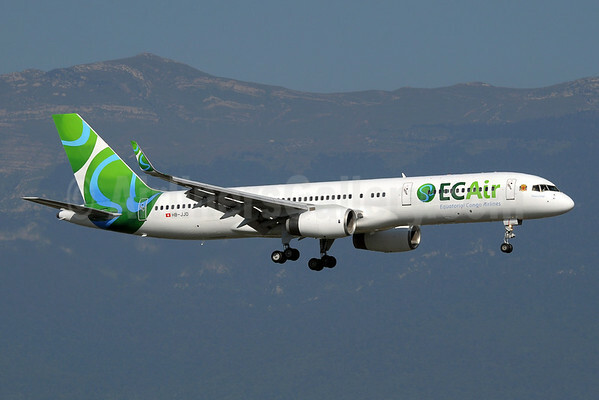 PrivatAir (Geneva) has stopped operating its Boeing 757-204 HB-JJE (msn 27219) for ECAir-Equatorial Congo Airlines (Brazzaville). HB-JJE was operating the aircraft for ECAir. According to a statement by ECAir, the airliner was seized at Paris (Charles de Gaulle) on April 11. In the coming weeks, Equatorial Congo Airlines plans to continue to expand its network with the opening of its third intercontinental (Beirut) and new regional destinations (Luanda, Abidjan, Yaounde, Bangui, N’Djamena). Copyright Photo: Paul Denton/AirlinersGallery.com. Sister-ship Boeing 757-236 HB-JJD (msn 25807) lands in Geneva, the home of PrivatAir. This entry was posted in ECAir and tagged 25807, 27219, 757, 757-200, 757-204, 757-236, Boeing, Boeing 757, Boeing 757-200, ECAir, ECAir-Equatorial Congo Airlines, Equatorial Congo Airlines, Geneva, GVA, HB-JJD, HB-JJE on April 15, 2015 by Bruce Drum. 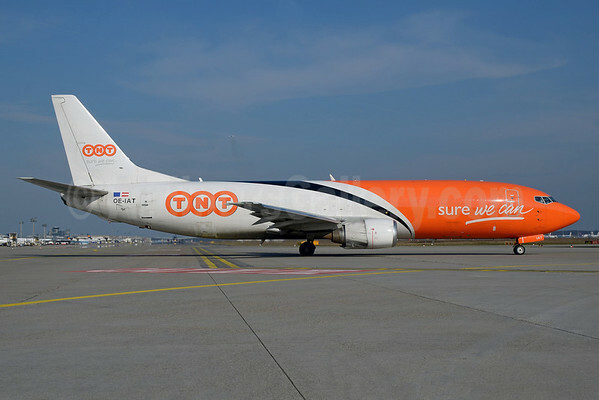 FedEx Corporation (FedEx Express) (Memphis) has announced its intention to acquire its European rival TNT Express (TNT Airways) (Amsterdam) in an all-cash public offer with a stated public value of $4.8 billion. FedEx is offering a 33 percent premium in its price offering for the stock of TNT. The combined European headquarters will be Amsterdam. TNT’s Liege cargo hub will be maintained. Top Copyright Photo: Paul Bannwarth/AirlinersGallery.com. 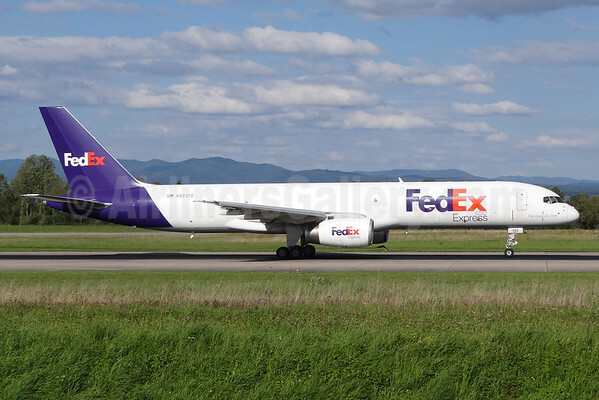 FedEx Express Boeing 757-204 (F) N923FD (msn 26266) departs from EuroAirport serving Basel/Mulhouse/Freiburg. Bottom Copyright Photo: Bernhard Ross/AirlinersGallery.com. TNT Airways Boeing 737-4M0 (F) OE-IAT (msn 29210) taxies to the runway at Frankfurt. This entry was posted in FedEx Corporation, FedEx Express, TNT Express and tagged 100th Boeing 737, 26266, 29210, 737, 737-400, 737-4M0, 757, 757-200, 757-204, Basel, Basel/Mulhouse/Freiburg, Boeing, Boeing 737, Boeing 737-400, Boeing 737-400F, Boeing 757, Boeing 757-200, Boeing 757-200F, BSL, EuroAirport, FedEx, FedEx Corporation, FedEx Express, FRA, Frankfurt, N923FD, OE-IAT, TNT, TNT Express on April 7, 2015 by Bruce Drum. 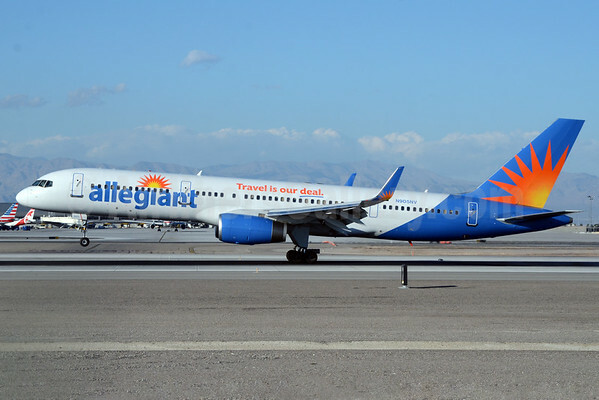 Pilots at Allegiant Air, represented by the Airline Professionals Association (APA) Teamsters Local 1224, voted overwhelmingly, 465-8, on January 16 to authorize a strike against Allegiant Air. The 10-day voting period closed at 12:00 p.m. EST January 16, with 98 percent of voting Allegiant Air pilots voting “Yes” to authorize the union to call a strike if necessary. 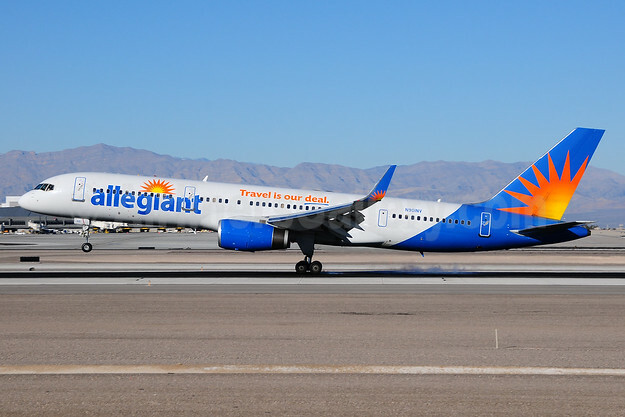 In early January, the union’s leadership decided to put a formal strike authorization vote out to the membership, based on a deadlock in negotiations and Allegiant Air’s continued failure to abide by a July 2014 federal court injunction directing Allegiant Air to restore the pilots’ work rule protections and benefits to previously negotiated levels. With this kind of support, the union intends to move forward by seeking a proffer from the National Mediation Board (NMB) under the Railway Labor Act’s dispute provisions. Once this has been completed, or to the extent that Allegiant remains unwilling to restore the pilots’ work rule protections and benefits, the pilots would be free to conduct a legal strike in the near future. The pilots have been in negotiations with Allegiant Air for two years with little to no progress. Their first negotiation session began in December of 2012 – with mediated negotiations beginning in April 2014 – and still the company cannot reach agreement with the union on even the most basic conditions in their negotiations for a new collective bargaining agreement. In just two years, three employee groups, encompassing all of Allegiant Air’s operational personnel, have joined national labor unions, indicating that the issues at hand in this battle extend far beyond basic management-employee relations. In addition to basic compensation and work rules, the issues center on safety concerns and operational deficiencies that cannot be resolved without the company’s willingness to begin reinvesting directly into the company’s operation. The pilots contend that vital changes are needed for Allegiant’s long-term success, before it’s too late. Teamster pilots with Allegiant Air conducted informational picketing on Tuesday at McCarran International Airport and Allegiant Air Corporate Headquarters in Las Vegas, as well as at St Petersburg-Clearwater International Airport and Fort Lauderdale International Airport in Florida, to make the public aware of their fight for infrastructural investments into Allegiant Air’s operational systems, basic industry averages in salary and for other job protection measures that are standard in the airline industry. Las Vegas-based Allegiant Air is one of the most profitable airlines in the world, reporting a profit for 47 consecutive quarters. Its executives are among the highest compensated in the industry, yet its pilots are among the lowest paid and are subject to substandard working conditions in comparison to the rest of the industry. Copyright Photo: Bruce Drum/AirlinersGallery.com. Boeing 757-204 N905NV (msn 27235) arrives back at the Las Vegas base from Honolulu. This entry was posted in Allegiant Air and tagged 27235, 757, 757-200, 757-204, Airline Professionals Association (APA) Teamsters Local 1224, Allegiant Air, Boeing, Boeing 757, Boeing 757-200, LAS, Las Vegas, Las Vegas McCarran International Airport, N905NV on January 17, 2015 by Bruce Drum.